Allow us to transform your property by providing you with our professional hedge trimming services, available in Hampstead NW3 and the surrounding areas. We cover all the necessary aspects required for a high-end service, including professional tools and equipment, a team of specialists, competitive rates and friendly customer service. We are at customers’ disposal seven days a week, including on bank holidays, so give us a call any time to request your free quote and discuss your requirements! Entrust us with your hedges and we promise to provide a first-class hedge trimming service that exceeds your expectations. 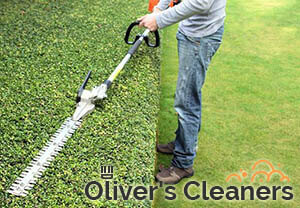 Regular trimming will ensure your hedges always look at their best, allowing them to live up to their full potential and add more curb appeal to your property. Over the past fifteen years, our expert trimmers have helped thousands of customers, many of which are now regulars of our company. We will readily tackle any hedge-related task as we are available for one-off sessions or fortnightly and monthly maintenance. We aim to establish a long-lasting relationship with customers, one that is based on trust and mutual respect. Unlike many gardening services providers, we always keep our promises, never overcharge with excessive, hidden fees and deliver results we can take pride in. Each customer of ours is entitled to a free quote the very moment they contact us for an appointment. 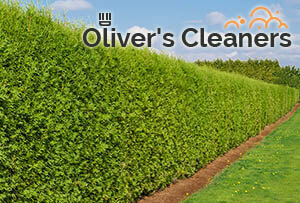 The prices we charge are set and depend on the size and height of the hedges that need to be trimmed. In addition to our hedge trimming services in NW3 London, we offer coppicing, topiary work, removal of old hedges and laying new ones. Give us a call or provide your details in the form below if value for your money is what you demand!